This piano/vocal collection contains all of the songs from the first Beethoven’s Wig album. The piano arrangements are for players of early intermediate to advanced levels and all of the lyrics are included with the piano parts for sing along fun! 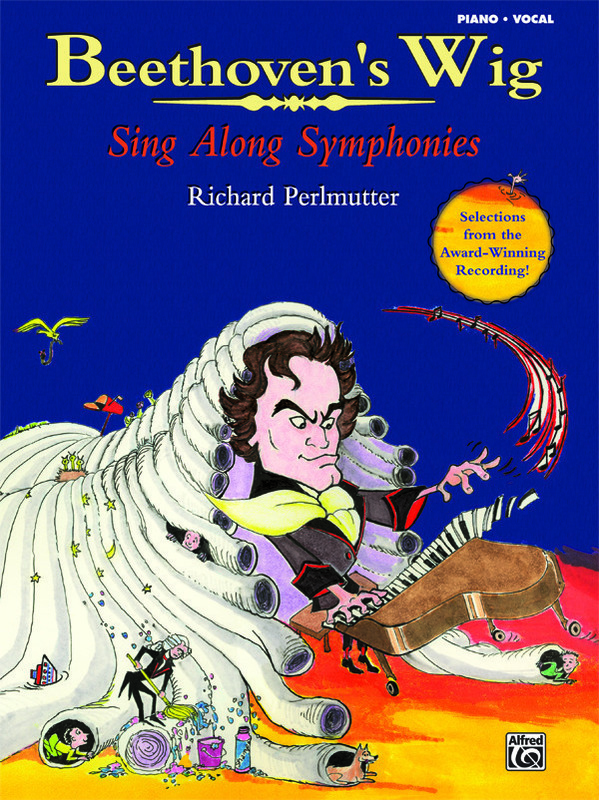 This album contains many of Beethoven’s Wig’s most popular songs, including “Can You Can Can?” (set to Offenbach’s famous Can Can dance), “Just for Elise” (set to Beethoven’s Fur Elise), and “Drip Drip Drip” (from the “Pizzicato from Sylvia by Delibes), as well as the group’s theme song “Beethoven’s Wig” (set to Beethoven’s 5th Symphony). The first Beethoven’s Wig album is a classic! Winner of 16 National Awards, including a Grammy Nomination, Beethoven’s Wig reached the #1 position on the Amazon Popular music charts, and was one of the Top 100 Selling Classical Albums on Amazon for over ten years. If you are a singer and/or pianist and you love to sing and play along with the classics, this is the book for you!